There, in a bustling sidewalk cafe a century ago, the legend of Hartley & Valentino premium Belgian truffles was brought to life. Born of a life-long passion for the pure art of chocolate making and a blossoming love for each other, these exceptionally decadent Belgian truffles are a testament to the ideals of love and good taste. Theodore and Patrice&apos;s dream for their chocolates lives on with every decadent truffle sparking love affairs the world over. 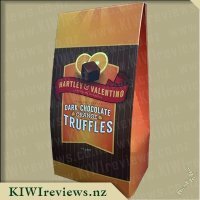 After having tried and loved the other amazing truffles from Hartley & Valentino I was keen to try the Dark Chocolate Raspberry variety. Though I must admit I am not the biggest dark chocolate eater I was more than happy to try these and was really glad that I took the opportunity to do so, as they didn&apos;t fail to impress. The truffles come in a attractive box which contains 10 individually wrapped truffles inside it. Each of these truffles were easy to open by simply tearing open the serated edging on each of the packets. The truffles were of a very generous size and took 2 bitefuls to finish each one. The flavours went wonderfully together creamy dark chocolate that was so silky and smooth with just the right hint of raspberry to it to create the ultimate truffle centre, the outer of these was a rich creamy belgian chocolate which added to the ultimately amazing taste of the truffle centre, I love that these truffles have a chocolate outer shell rather than a cocoa dusted outer like many truffles have. 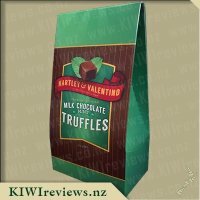 These were very rich so although 10 in a pack doesn&apos;t seem like particularly many truffles for the price these do go a long way as you only need to eat one at a time. 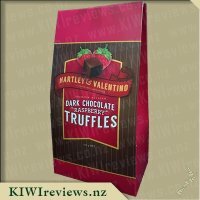 My 3 year and my partner were also happy to sample a truffle each and although they are also not the biggest fans of dark chocolate they enjoyed these to Miss 3 said they were "yummy yummy" and my partner liked the taste of raspberry that came through. I had planned to make a chocolate and raspberry brownie slice and so in place of my usual white chocolate I use when making a brownie I opted to replace this with the truffle. I cut 5 truffles up into small pieces and added these to the mix along with a handful of freeze dried raspberries and then popped it into the oven to cook. The smell of raspberries was rather strong as it cooked and I couldn&apos;t wait to try it out. Upon slicing up the brownie I was impressed to see the lovely chunks of the truffle scattered through the final product, it was great to see that these had held there shape at a high heat rather than melted. The taste of the brownies was amazing and the truffles provided such a great taste sensation and a nice change to our usual brownie. 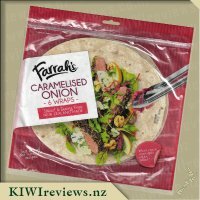 These are a luxurious treat, and not something which I would buy on a daily basis, purely due to the price, however I respect that these are made from high quality products and this is the reasoning for this. 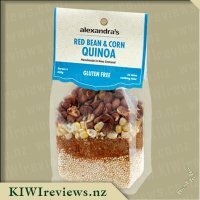 I would love to try these again in muffins or the likes as I think they would provide a great flavour if used in such a way. If your a fan of dark chocolate and also of raspberries I recommend you try these out yourself. 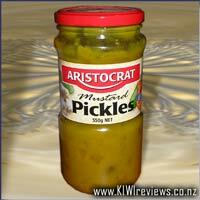 I know I will buy these again, if not for myself then for popping into a gift basket or hamper as part of a gift. 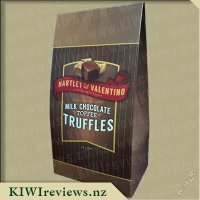 I was lucky enough to receive two of the Hartley & Valentino packets of truffles to review - and boy, am I lucky!!! I am a big truffle fan after sampling some of the best in Europe - in both Switzerland and Germany - and although these are Belgian - wow - did it transport me back 10 years to when I was traveling. They are decadent, full of flavour and do not fail to delight! Upon opening the box, I discovered that each truffle is individually packaged. Whilst this is a great idea, I am very aware of the possible excess of packaging, in a day and age when we are trying to be more conscious of what we are throwing out and what we are reusing and recycling. I do not really have a suggestion to combat this however - it is either this or you handle every truffle when you put your hand into the bag! The foil packets are easy to open with a simple tear, but also do not tear so easily that your truffle ends up on the floor - well done!! 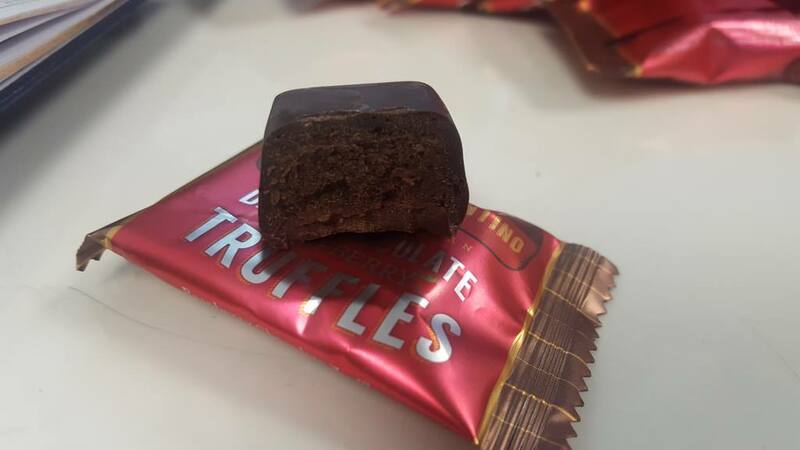 Inside the packet is the truffle delight - a roughly 2 x 2 x 2 centimetre cube of yummy! It felt quite firm to the touch - although I did not squeeze too hard! Biting into the truffle, it is a bit like turkish delight - sweet and fruity, firm, and it does not melt and go all gooey. It is a rich taste and flavour - meaning that I found one was enough - and I did not have the desire to eat many in one sitting. They are perfect after dinner, with a cup of something (or a glass!) type of treat. The price is reasonably high - however, when you divide $12 by the amount in the packet (10) - that makes them $1.20 each - which, for a speciality chocolate in Europe (and here!) is very acceptable. 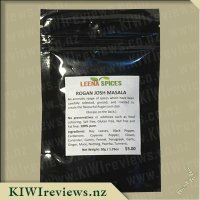 The price does mean that they are unlikely to be an everyday treat, but instead an occasional, or special treat, or perfect to pop into a gift box or hamper. 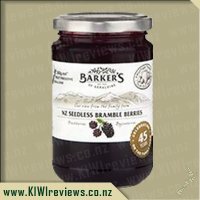 I had already tried the dark chocolate orange version of this product when I was lucky enough to receive this dark chocolate raspberry flavour. I was quite excited about receiving another box of these truffles as I had really enjoyed the first ones! Dark chocolate isn&apos;t my chocolate of choice, in fact I will only eat it if given it by someone or I have a free sample. I don&apos;t know what it is but I just don&apos;t enjoy the flavour. These truffles however have changed my opinion of dark chocolate. The flavour of dark chocolate is definitely there, but it is satisfying. I can only assume this has something to do with the perfect match Hartley & Valentino have made with the raspberry flavour. When you bite into the truffle you instantly get the dark chocolate flavour, but this is soon followed by a mellow raspberry flavour. The chocolate flavour then continues as the smooth dark chocolate melts into your throat. It is just amazing! The chocolate orange is my favourite, but this comes a very very close second. Portion control when it comes to treats is very important. It is all too easy to open up a block of chocolate and munch your way through way too many rows, even if you only meant to have one. These truffles make it easy as they all come individually wrapped. 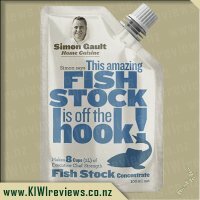 This makes them easy to place into your hand bag or take to work and save them for when a sugar hit is needed. The truffles themselves are the perfect size - enough that you can have two or three bites to make them last longer. We all know it&apos;s psychological when it comes to treats - the longer they last, the more satisfied we are! The price of these means they are something I won&apos;t purchase very often as I do feel it is quite steep for how many you receive (which as per other reviews I did receive 11 pieces rather than just the 10 stated on the back of the pack) but then I guess the price is reflected in the quality. They will be an item purchased every now and then for an extra special treat, or for a special occasion. I have never been a fan of Dark Chocolate and although I adore the Raspberry flavouring I was tossing and turning on whether to request this. I find Dark Chocolate to be too strong and instead prefer Milk Chocolate. But, since it was Belgian Premium Chocolate I thought it was worth the risk and let me say I am so glad that I did. 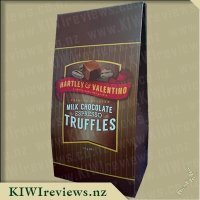 I have not had much experience with Truffles so when I received the rather large box I was assuming the chocolate would be altogether in a sort of plastic wrapping. Again I was wrong, instead once opening I was met with tiny little red and brown individual packets and on further inspection found out there were eleven of them. Usually I like to share stuff like this but I found after I easily unwrapped one and took a tiny bite that there was no way I would be sharing and instead have hidden them away for me to enjoy alone. The Truffle is in a square shape and is rather firm but once you bite into it, it kind of tastes like Turkish Delight chocolate and then you find your throat is coated is this lovely milk chocolate flavour that slides down so easily. As much as I love chewing them its that after taste that I can not get enough of. It melts in your mouth and you find this kind of chocolate heaven squirting around the insides of cheeks. 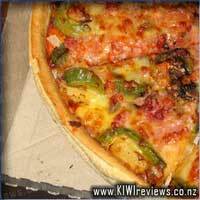 The creamy texture is devine. You want to automatically have another one to savour, but as they are rather rich I find one is enough which is great because I dread the day I run out of them. I am now dying to taste the rest of the range as I am insanely in love with this flavour. I find the price is rather daunting but I understand because this is not like any chocolate I have ever tried before. Seriously I feel like I have died and gone to heaven with it. I can not put into words how much I have enjoyed experimenting with this little piece of gold. I have only eaten four of them and I can not wait to have another one, it has become my new secret drug. I can not recommend enough. As it is Christmas I am asking Santa for the whole range especially the Milk Chocolate Toffee Truffle. So looking at the packet, it&apos;s quite a reasonable size cardboard packaging, that contains 10 (in my case 11) individually foil wrapped truffles. A lot of packaging is something that I try to avoid, but in this case it helps with controlling portion size, as each 17g truffle is one serving size (95 calories per truffle), and it&apos;s much more difficult to accidentally eat too many when you have to physically unwrap each one beforehand. The foil packets are easy to open, and inside you have a thick squarish block of dark chocolate (rough dimensions would be around 2cm long x 2cm wide x 1.5cm tall). The truffle has a texture not dissimilar to a thick nougat, and in encased in a layer of dark chocolate. The dark chocolate itself is reasonably solid, and while it is very easy to bite through (it will still provide a small crunch), if you keep it in a cool, dark place, it wont make a mess when you handle it (unlike the milk chocolate mint variety). My first bite into it, reminded my of a turkish delight, with a blast of fruity flavour inside the chocolate shell. The chocolate shell provides a very strong rich flavour, but the raspberry itself is much smoother and subtle in taste. 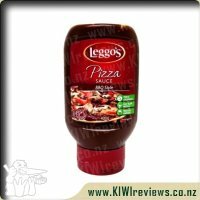 The richness of this product means I can&apos;t eat too many in one go, which is a good thing, as I tend to binge on such sweet items, so it is more of a luxury item than an everyday item.